Home Mammals Are Mice Blind? Can They See In The Dark? Mice are most active at night and therefore, they do not usually come out in daylight. They build nests out of soft materials and occupy places that are close to the food sources. That being said, if they really are nocturnal animals, how do they manage to navigate their way to find food in such low light conditions? 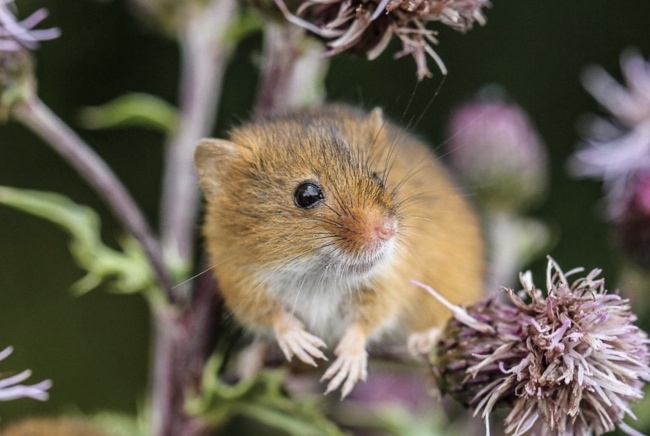 That makes most of us to wonder are mice blind?These cute creatures often scuttle across the ground in the wild to search for food. As winter sets in, they tend to make their way into cozy and warm places like buildings, homes etc. If they are not blind, then can mice see in the dark and how good their vision can be? In order to find out, let’s dive right in! Are Mice Blind? No! they can see, but not very well! Mice can certainly see but they tend to have poor eyesight. However, they have very acute senses of hearing and smell. Actually, each of the three types of photoreceptors (called cones) contains photopigments and every photopigment is sensitive to light of different wavelengths. These photopigments are known as blue, green and red. In terms of wavelengths, blue is short-wave (S), green is medium-wave (M) and red is long-wavelength (L) cone. If we compare visual apparatus of mice with humans, there is a slight difference between the two. Humans have three cone pigments called trichromatic retina. However like most other mammals, mice have only two photopigments (known as dichromacy or “color blindness”) i.e. green and blue. Thus, we have got extra cone inside our eyes and that makes all the difference in recognizing broader number of colors. But since mice do not have red retinal pigment like humans, they cannot see red-green color in the visual spectrum, like us. In 2007 the scientists created a transgenic mouse that contained three cone types similar to humans. Normally, mammals have both short-wave as well as longer wavelength sensitive cones. Humans have three types of cells in their eyes. They have blue, green and red pigments. However, most mammals lack all three colors. Instead, normally they possess only two which is why they cannot see such variety of colors like us. Mice cannot differentiate red light versus yellow. Since they can see only limited number of colors in the visible spectrum, they are mostly color blind.